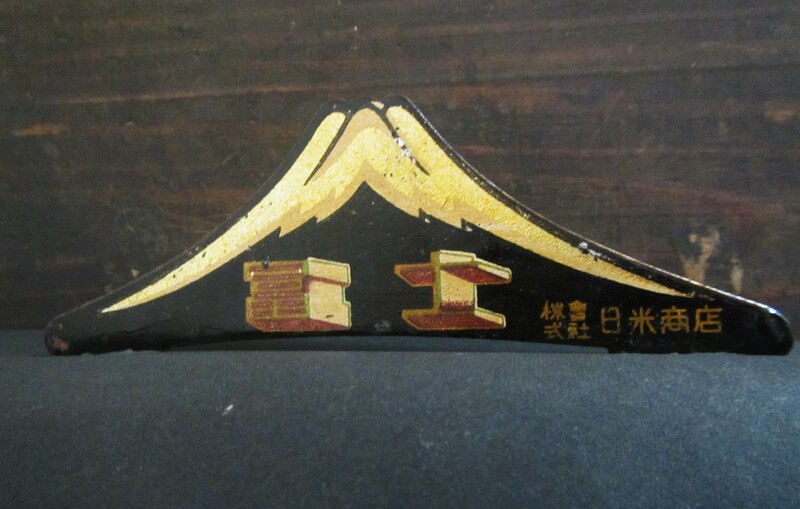 In the first installment Mountain Day & Nichibei Fuji (Part 1) we noted that Nichbei Fuji used Mt Fuji as its trademark; the company was known to go to great lengths to design-in their trademark into parts (See also Fuji Feather Series 1, 2, 3, 4) the most common example being the infamous Nichibei Fuji fender ornament. 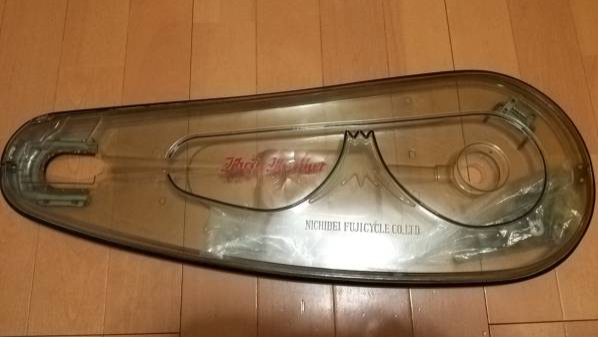 In the second installment we saw a fine example of the Nichibei Fuji trademark designed into a lock, and, in the third installment we examined the white mountain shaped rear reflector. 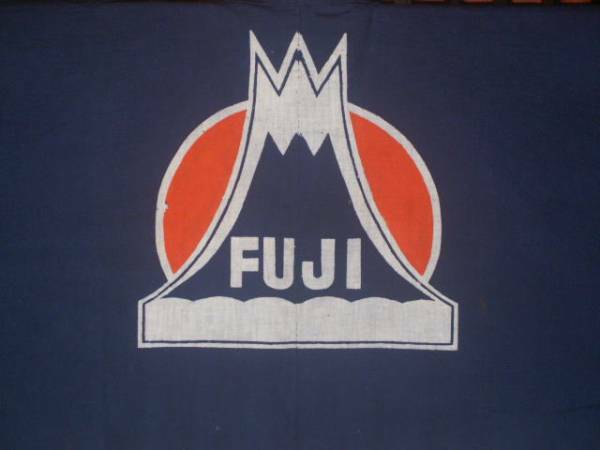 In this, the fourth and final installment, we shall take a look at yet another part that Nichibei Fuji designed-in their trademark. 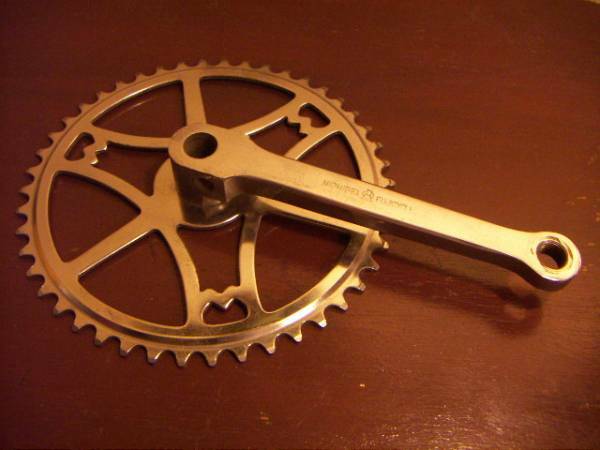 In the 1950's it was common for most bicycle manufacturers to design-in their company trademark into the chainwheel. 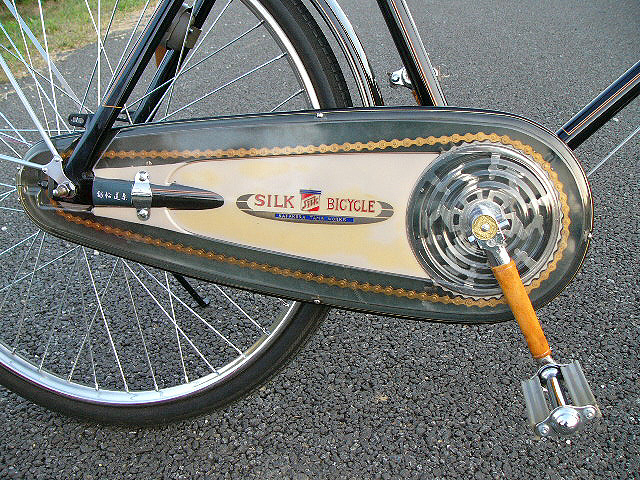 Many are works of art, despite the majority of them being covered up and hidden by the chaincase. 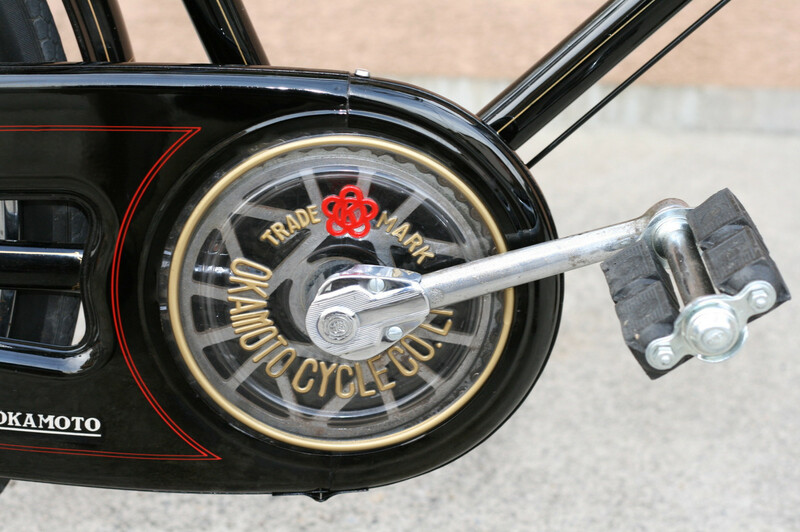 However, broadly speaking, there were two chaincases that enabled these works of art to be viewed: the all clear celluloid chaincases, and, the clear celluloid chainwheel cover chaincases. 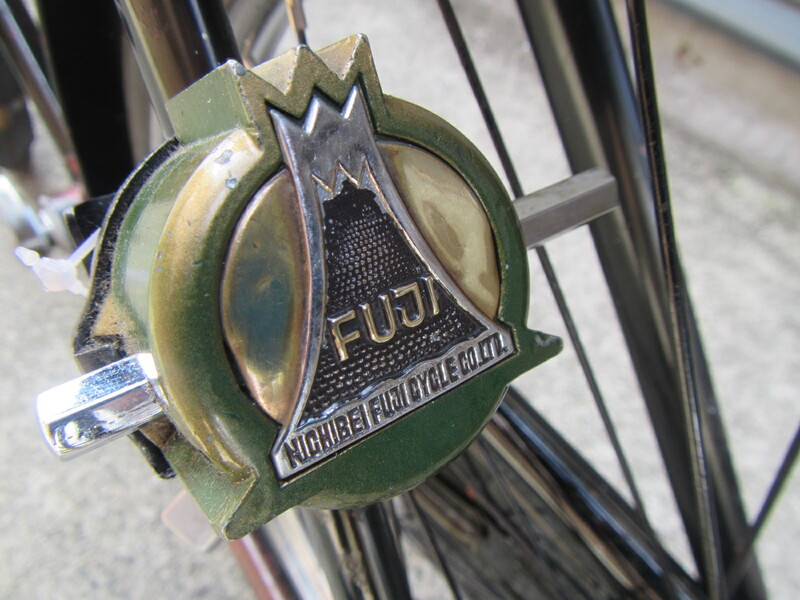 The Nichibei Fuji trademark is found not only in the chainwheel but also on the chaincase. 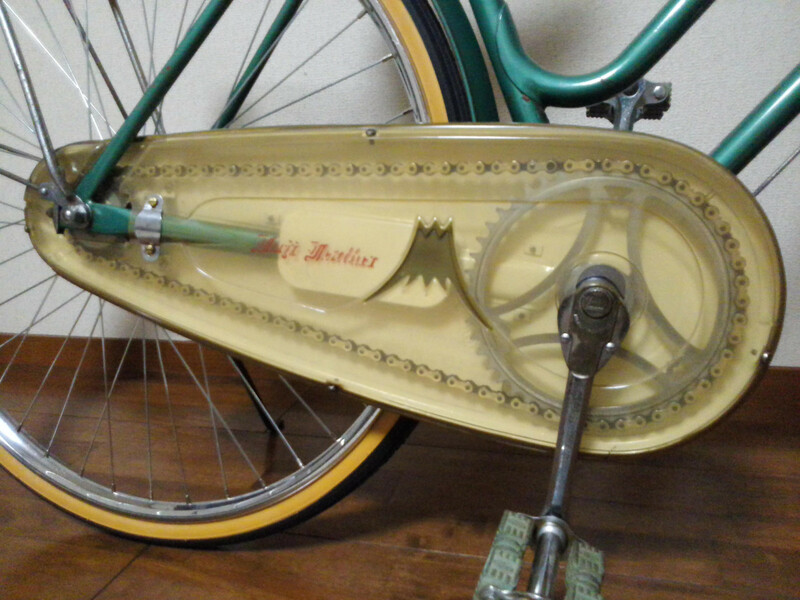 Note how the clear celluloid chaincase has been molded so that the trademark is raised. 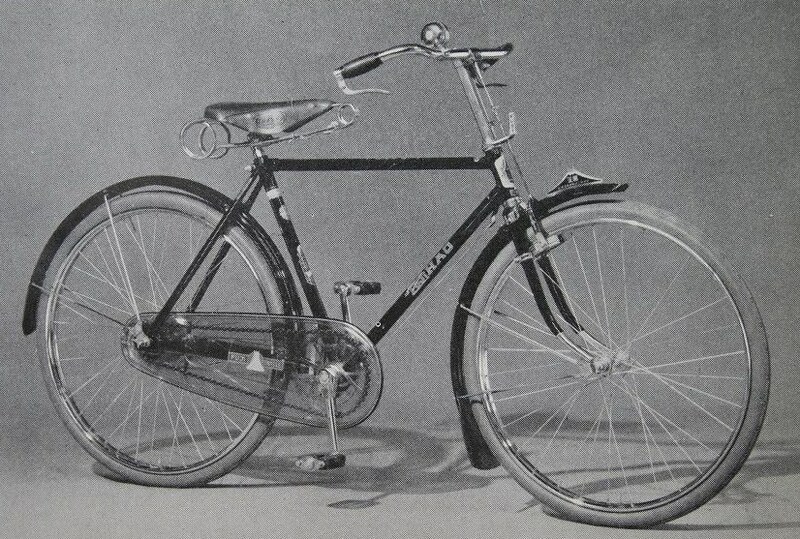 The photo below is taken from an early 1950's bicycle catalog. 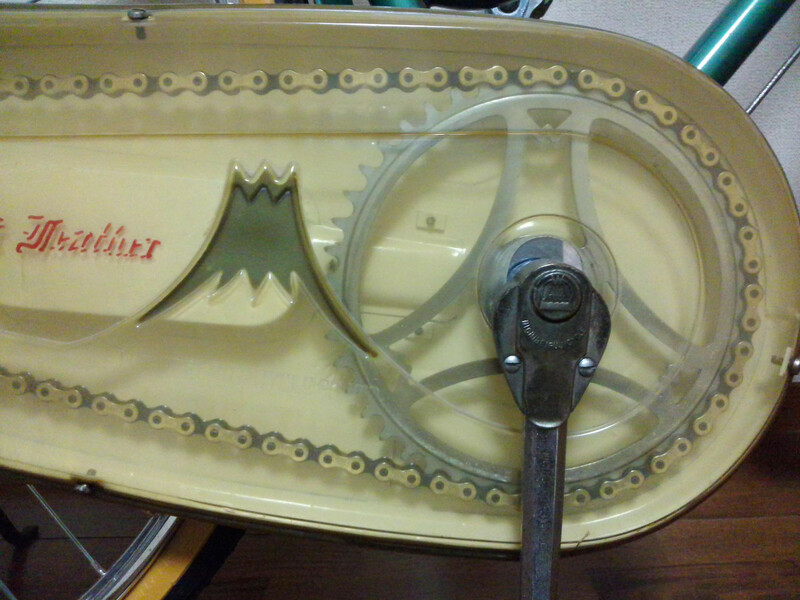 Note the chainwheel and the all clear "see-through" chaincase.